Eric Victor Burdon is an English singer-songwriter best known as a founding member and vocalist of rock band The Animals, and the funk rock band War and for his aggressive stage performance. Burdon was ranked 57th in Rolling Stone's list - The 100 Greatest Singers of All Time. Despite his frenzied stage performances over the years, Burdon wrote in his 1986 autobiography I Used to Be an Animal, but I'm All Right Now that he had always hated touring and being in the public eye. The memoir traces Burdon's life from his working-class origins, through the development of his musical interests in the blues, and recounts the ultimate turmoil of touring: Burdon reveals that he was repulsed by the invasions of privacy he suffered in the United States during his first visit there--but enthralled by seeing his heroes James Brown and B. B. King at the Apollo Theater in Harlem. He also laments that his manager had lost the Animals millions of dollars in shady tax deals. 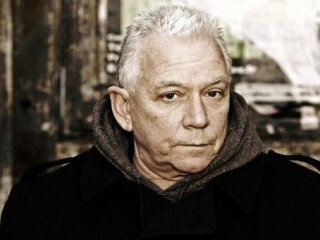 View the full website biography of Eric Burdon.